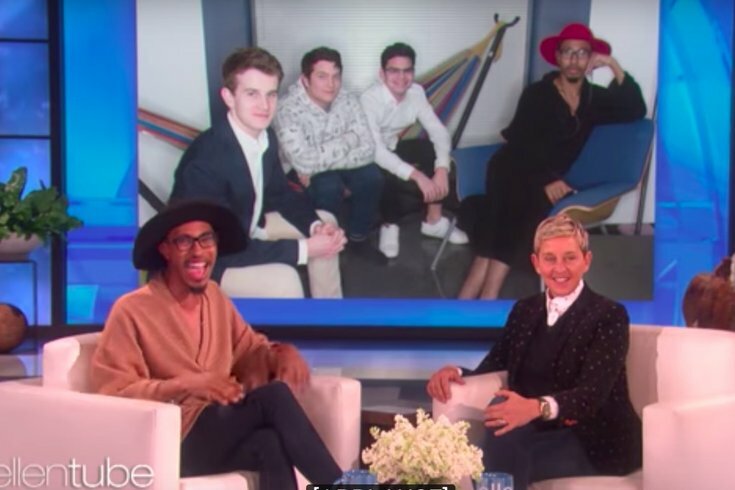 Kalen Allen on "The Ellen DeGeneres Show" Jan. 22, 2018. Now, after an on-air offer to join the team at “Ellen,” Allen has relocated to Los Angeles, is finishing up his Temple studies at the school’s Los Angeles Study Away program and is creating content for the daytime talk show. As a new resident of LA, Allen returned to the show to talk about his move and gave a shout-out to his mother and his old Temple roommates. “I’m so thankful and so grateful, because you really have just changed my entire life,” Allen told DeGeneres during the interview. One of Allen’s first videos for the show has been posted to Ellen.com. In it, Allen reacts to a truly repulisve-looking ketchup-flavored cake with mustard-flavored frosting. The video, which premiered Monday, has more than 400,000 YouTube views as of 10:20 a.m. on Tuesday.